Conference of Presidents of Major American Jewish Organizations strongly condemns Har Adar attack, urges PA to end incitement. The Conference of Presidents of Major American Jewish Organizations strongly condemned Tuesday’s terrorist attack in Har Adar in which three Israelis were murdered. “We express our condolences and deepest sympathy to the families of those killed by the terrorists in this ruthless terror attack and offer our prayers for the recovery of those who were wounded,” said Stephen M. Greenberg, Chairman, and Malcolm Hoenlein, CEO, of the Conference of Presidents. “Hours after the attack, Hamas was celebrating and handing out candy on the streets. There is no justification for the glorification of brutal terror attacks. 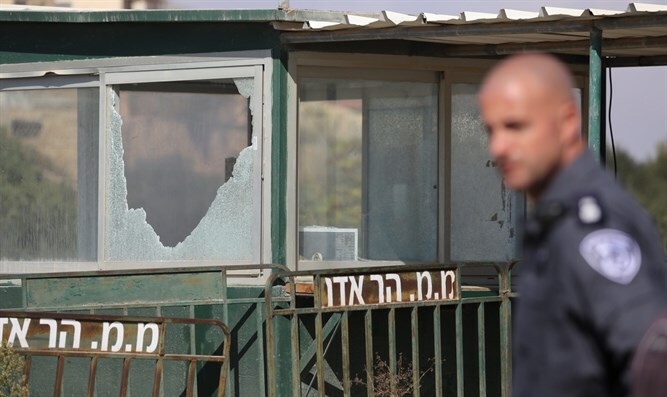 We are appalled by this behavior and by reports that the Palestinian Authority would make payments to reward the family of the terrorist,” said Greenberg and Hoenlein. “There can be no real prospect for progress on the conflict between Israel and the Palestinians until the Palestinian’s end their policy of glorifying ‘martyrs’, incentivizing murder and reinforcing a culture which legitimizes and encourages terror,” they noted.